Doctor of Philosophy, Macquarie University, 2015. Master of Education, Monash University, 2010. Honours Degree of Bachelor of Science, Monash University, 2006. Bachelor of Arts, Monash University, 2005. Bachelor of Science, Monash University, 2005. Do teacher research experiences affect student outcomes in science?, Australian Research Council, Grant - Discovery Early Career Researcher Award, 2018 - 2021, $661,349. Alice Springs - Science, Technology, Engineering, Arts and Mathematics (STEAM) Strategic Plan and STEAM capacity building, Northern Territory Government Department of Education, Tender, 2016 - 2017, $69,753. 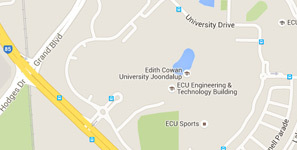 Towards ensuring a STEM workforce: Engaging industry to inspire and foster real‐world STEM teacher learning, Edith Cowan University, ECU Industry Collaboration Scheme - 2016 Open Round, 2016 - 2017, $136,805. Educational pilot accommodating rehabilitation of WA Pilbara, Koodaideri Contracting Services Pty Ltd, Grant, 2015 - 2016, $104,715. Morris, J., Slater, E., Fitzgerald, M., Lummis, G., Van Etten, E., (2019), Using local rural knowledge to enhance STEM learning for gifted and talented students in Australia. Research in Science Education, online(n/a), 1-19, Netherlands, Springer, DOI: 10.1007/s11165-019-9823-2. Rebull, L., French, DA., Laurence, W., Roberts, T., Fitzgerald, M., Gorjian, V., Squires, G., (2018), Major outcomes of an authentic astronomy research experience professional development program: An analysis of 8 years of data from a teacher research program. Physical Review Physics Education Research, 14(2), Article no.020102, DOI: 10.1103/PhysRevPhysEducRes.14.020102. Rebull, L., Roberts, T., Laurence, W., Fitzgerald, M., French, D., Gorjian, V., Squires, G., (2018), Motivations of educators for participating in an authentic astronomy research experience professional development program. Physical Review Physics Education Research, 14(1), 010148, DOI: 10.1103/PhysRevPhysEducRes.14.010148. Bartlett, S., Fitzgerald, M., McKinnon, D., Danaia, L., Lazendic-Galloway, J., (2018), Astronomy And Science Student Attitudes (ASSA): A Short Review And Validation Of A New Instrument. Journal of Astronomy and Earth Sciences Education, 5(1), 1-22. Fitzgerald, M., Danaia, L., McKinnon, D., (2018), Barriers Inhibiting Inquiry-Based Science Teaching and Potential Solutions: Perceptions of Positively Inclined Early Adopters. Research in Science Education, article in press(article in press), pp. 24, Dordrecht, Netherlands, Springer, DOI: 10.1007/s11165-017-9623-5. Danaia, L., Fitzgerald, M., McKinnon, D., (2017), Ideal pictures and actual perspectives of junior secondary school science: comparisons drawn from Australian students in an astronomy education programme. Research in Science and Technological Education, 35(4), 445-60, Oxon, United Kingdom, Routledge, DOI: 10.1080/02635143.2017.1344959. Gomez, E., Fitzgerald, M., (2017), Robotic telescopes in education. Astronomical Review, 13(1), 28-68, Anoka, USA, The Astronomical Review, DOI: 10.1080/21672857.2017.1303264. Lazendic-Galloway, J., Fitzgerald, M., McKinnon, D., (2016), Implementing a studio-based flipped classroom in a first year astronomy course. International Journal of Innovation in Science and Mathematics Education, 24(5), 35-47, Institute for Innovation in Science and Mathematics Education. Fitzgerald, M., McKinnon, D., Danaia, L., Deehan, J., (2016), A large-scale inquiry-based astronomy intervention project: Impact on students' content knowledge performance and views of their high school science classroom. Research in Science Education, 46(6), 901-916, Netherlands, Springer, DOI: 10.1007/s11165-015-9486-6. Townsend, A., McKinnon, D., Fitzgerald, M., Morris, J., Lummis, G., (2016), Educative curricula and PCK development driven by STEM professional learning in rural and remote schools: A longitudinal type IV case study. International Journal of Innovation in Science and Mathematics Education, 24(4), 1-17, Institute for Innovation in Science and Mathematics Education. Douchin, D., De Marco, O., Frew, D., Jacoby, GH., Jasniewicz, G., Fitzgerald, M., Passy, J., Harmer, D., Hillwig, T., Moe, M., (2015), The binary fraction of planetary nebula central stars – II. A larger sample and improved technique for the infrared excess search. Monthly Notices of the Royal Astronomical Society, 448(4), 3132-3155, United Kingdom, Oxford University Press, DOI: 10.1093/mnras/stu2700. Fitzgerald, M., Inwood, L., McKinnon, D., Dias, WS., Sacchi, M., Scott, B., Zolinski, M., Danaia, L., Edwards, R., (2015), Photometric and proper motion study of the neglected open cluster NGC 2215. The Astronomical Journal, 149(6), Article 190, Madison, Wisconsin, United States, Institute of Physics Publishing, Inc., DOI: 10.1088/0004-6256/149/6/190. Fitzgerald, M., McKinnon, D., Danaia, L., (2015), Inquiry-based educational design for large-scale high school astronomy projects using real telescopes. Journal of Science Education and Technology, 24(6), 747-760, Netherlands, Springer Netherlands, DOI: 10.1007/s10956-015-9560-x. Frew, DJ., Bojičić, I., Parker, Q., Stupar, M., Wachter, S., Depew, K., Danehkar, A., Fitzgerald, M., Douchin, D., (2014), The planetary nebula Abell 48 and its WN nucleus. Monthly Notices of the Royal Astronomical Society, 440(2), 1345-1364, Oxford, United Kingdom, Oxford University Press, DOI: 10.1093/mnras/stu198. Fitzgerald, M., Hollow, R., Rebull, L., Danaia, L., McKinnon, D., (2014), A Review of High School Level Astronomy Student Research Projects Over the Last Two Decades. Publications of the Astronomical Society of Australia (PASA), 31(2014), Article e037, Cambridge University Press, PASA- Cambridge University Press, DOI: 10.1017/pasa.2014.30. Fitzgerald, M., (2018), The Our Solar Siblings Pipeline: Tackling the data issues of the scaling problem for robotic telescope based astronomy education projects., 347-358. Rebull, L., Fitzgerald, M., Roberts, T., French, D., Laurence, W., Gorjian, V., Squires, G., (2018), The NASA/IPAC Teacher Archive Research Program (NITARP)., 171-187. Salimpour, S., Bartlett, S., Fitzgerald, M., Cutts, R., James, CR., Miller, S., Danaia, L., Cabezon, S., Faye, M., Baudouin, C., Birkenbauma, D., Anjos, S., Wu, Q., Slater, E., (2018), Robotic Telescopes and Student Research in the School Curriculum around the OECD countries., 33-40. Fitzgerald, M., Cutts, R., Salimpour, S., Slater, S., (2018), A Brief Overview of Robotic Telescopes, Student Research and Education Research in the English Literature., 19p..
Fitzgerald, M., McKinnon, D., Danaia, L., Cutts, R., Salimpour, S., Sacchi, M., (2018), Our Solar Siblings: A high school focused robotic telescope-based astronomy education project., 221-235.